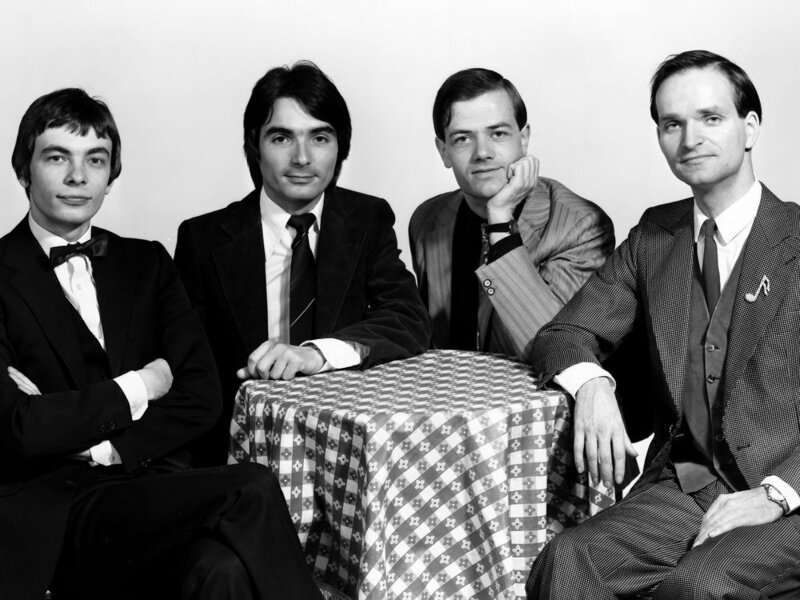 Trans-Europe Express was the singularly definitive moment of both Kraftwerk’s career and pop’s techno-trajectory. Moving away from the psychedelia-tinged kraut-rock constructions of their previous albums, the German quartet codified both their visual and aural identity with their 6th and arguably finest LP – which this year celebrates it’s 40th anniversary. The DNA of innumerable strands of modern music find their inception here, and the band’s winning formula would come to represent the new globalised attitude of the late twentieth-century and beyond. Innovations in recording technology encouraged new levels of sophistication within Kraftwerk’s music. The Synthanorma Sequenzer, a rudimentary piece of hardware with 16 channels and 32 steps of analog sequencing was constructed for the band by Matten & Wiechers. No longer constricted by the physical limitations of their own instrumental ability, the sequencer revolutionised both the rhythmic and melodic complexity of their work, allowing layers of interweaving synth patterns to coexist in synchronicity. However, far from overstuffing these new songs, the group honed a sharp minimalist sensibility – each element of their synthetic concoctions now sounded bold and punchy, as if distilled into separate test tubes of sound. Textures were heightened to the point of tactility and melody became a central force, whilst the now prominent “motorik” rhythms (which had proliferated across Germany’s musical output thanks to bands such as CAN and NEU!) propelled the music with a infectiously kinetic energy. Read More: How Has The Recording Studio Affected The Ways In Which Music Is Created? Trans-Europe Express was not only a definitive conceptual statement, of course. Musically, it’s hard to overstate the breadth and endurance of the album’s impact. Packed with crooning synthesisers and pointillistic melodies, opener ‘Europe Endless’ evokes a continental expanse of cultural heritage, absorbed and modernised by machines to form a folk music for the future; effectively a sonic manifesto for the new pop of early ‘80s Britain. 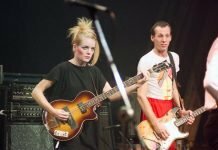 Alternatively, ‘Metal on Metal’ anticipates the rise of industrial music brewing in factory-scarred cities like Sheffield and Hull – a gateway drug encouraging the likes of Cabaret Voltaire and Throbbing gristle to explore the underbelly of mechanic depravity and the textural thrills of metallic abrasion. Most impressive of all was the album’s monumental impact on the music of black America, despite stalling at a meagre 119 on the national chart. The African-American cities of Detroit and Chicago were instantly notable appreciators of Kraftwerk’s odd brand of sterile grooviness; plenty of record buyers found great humour in the band’s starkly libido-drained white appearance, yet sincerely appreciated the propulsive and steady groove of their machine music. So too did the B-Boys of the Bronx, as ‘Metal on Metal’ became an early source of looping material for the nascent turntablist scene taking root amidst the borough’s block parties. Later, Afrika Bambaata’s ‘Trans…’ sampling smash ‘Planet Rock’ would historically solidify this relationship. It’s Detroit, however, which has carried Trans… sound into the very heart of it’s musical DNA. It’s hard to listen to Cybotron’s electro anthem ‘Alleys Of Your Mind’ without considering the dark refractions of ‘Hall of Mirrors’, it’s contemplations of personal identity in the age of automation immeasurably relevant to the city’s rampant unemployment. Later, Detroit’s europhile club scene sought to cultivate a sense of continental Kraftwerk-esque sophistication within black dance music, whilst techno began it synthesiser obsessed sonic explorations in parallel to Chicago’s largely sample-based house music. 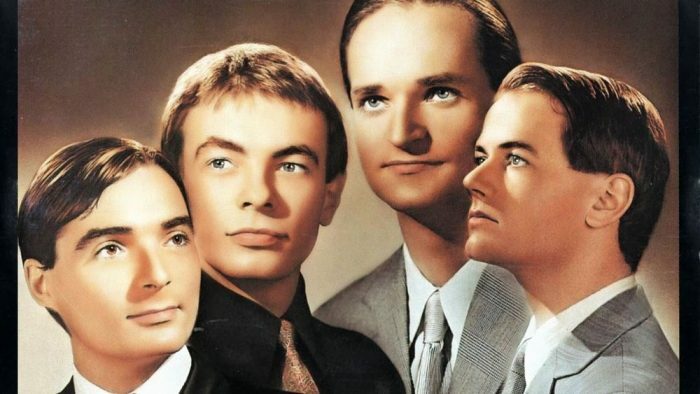 In short, Kraftwerk disrupted the historically imbalanced transatlantic musical trade-off, changing the face of modern black music in the process. It’s a strange coincidence then, that Trans-Europe Express celebrates it’s 40th anniversary at a time of tense global relations, not only in the once unified Europe but in America and beyond. The album exudes a sense of optimism and evolution which seems hard to pinpoint in today’s overtly cynical post-modern electronic music – weathered and hardened by the growing sense of lost potential and the rise (once again) of divisive politics. Perhaps now, more than ever, is the perfect time to revisit an album which not only championed technological progress but held the sincere belief that this would propel us towards a brighter future – a belief which is sadly yet to be truly vindicated.